Nicole and I met shortly after I returned from a month-long stay in France, in 1997. Two friends, who I’d known since kindergarten, and I were part of a choir that toured France, and we arranged to head over about a week early so I could show them Kandern, Germany — the little village my family lived in when we spent a year in Germany. I was 14 when we lived there; my 9th grade year was spent at Black Forest Academy, a boarding school for missionary kids, where my parents worked for the year. Of course I regaled Nic with stories of life there, and of the more recent trip, and as we grew closer, I promised her that one day I would take her to Europe. 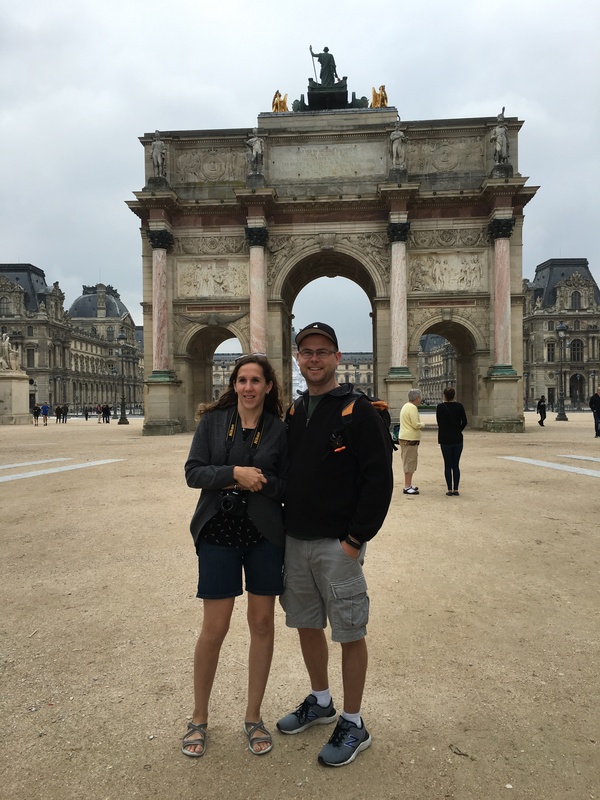 19 years, two trips to Asia, and 3 jobs in 3 different States later, we finally pulled off the Europe trip part of that plan! The week prior, I had to participate in a conference in Orlando, so Nic took the opportunity to head to Ontario to get the kids settled in with Nana and Papa and visit her family. At the end of the week, temporarily free of kids and work responsibilities, we each made our way to the Detroit airport, meeting up just a couple hours before our direct flight to Paris. We took advantage of a status perk and spent those hours in relative luxury in the Delta Skyclub, sipping free wine and making sure our gadgets were all charged. We landed in Paris early in the morning on Saturday. We were told we couldn’t check into our hotel until 2, but when we arrived mid-morning in our tiny rental car at our little lodging just outside the touristy part of town, our room was ready. By 2, we’d had a nap, unpacked a little, and were ready to explore. 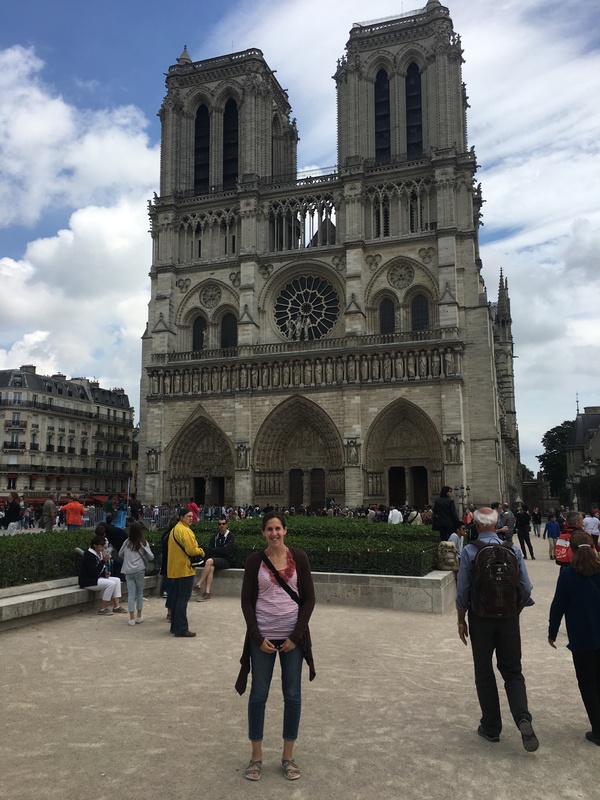 We had taken a bit of a gamble and pre-paid for a parking spot somewhere near Notre Dame (the directions weren’t super clear!) The spot turned out to be a small parking garage directly underneath the square in front of Notre Dame. 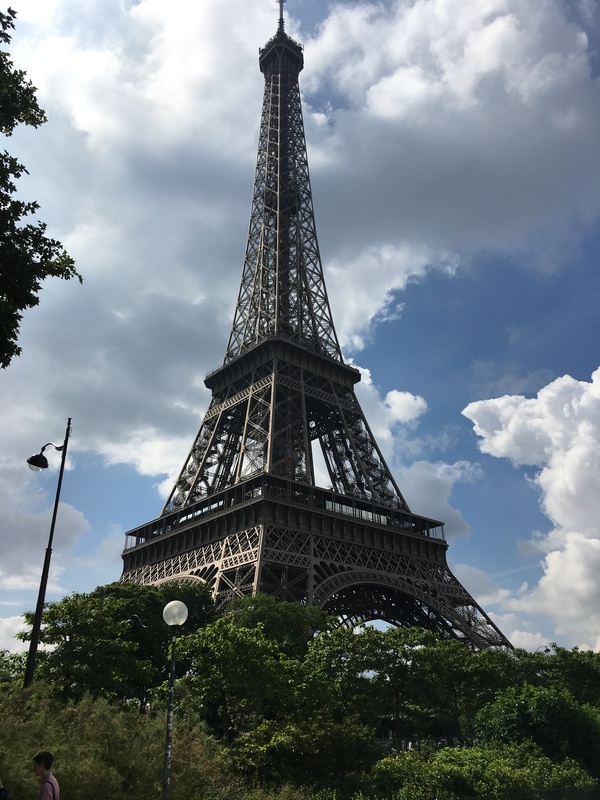 After overcoming some communication challenges due to my rusted-beyond-repair French language skills, we secured our place with in/out privileges, and were well positioned to spend 2 days seeing the city. 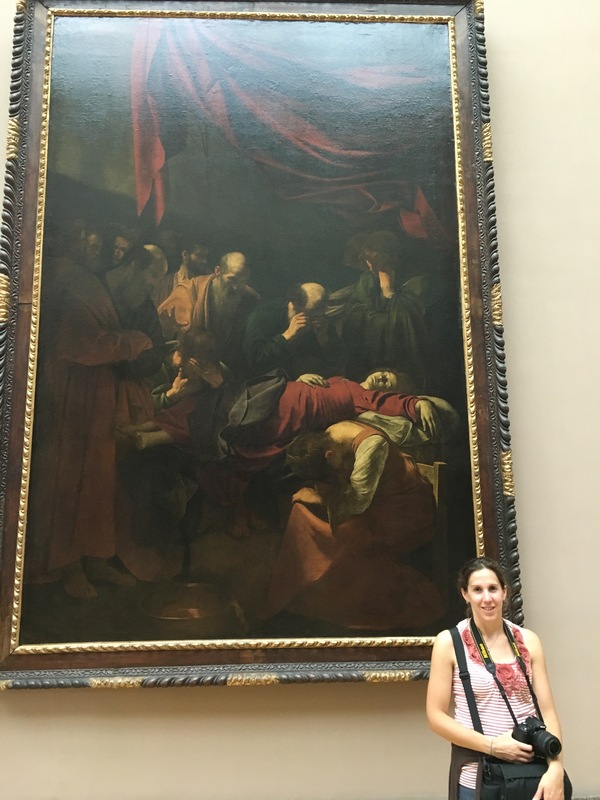 We saw Notre Dame and the Louvre on day 1, and on day 2 walked across town to the Arc de Triomphe, stopping at a street side cafe to rest our feet and sip tea, then to the Eiffel Tower, stopping at a little bakery to carb-up. Despite being obvious tourist traps, prices were reasonable everywhere we went. We saw the Louvre for 15 euros each, went to the very top of the Eiffel Tower for 17 each. Food was, of course, great and also reasonably priced. We even took a bike rickshaw back from the Eiffel Tower for around 12 Euro. Paris isn’t the world’s cleanest city, but there’s amazing architecture and history, mixed in with the modern. Traffic was nuts, but crowds and lines were only a problem at the Eiffel Tower. Also security was elevated due to the Euro Cup, with armed soldiers posted at strategic spots throughout the city, or attentively strolling through courtyards looking for suspicious activity. None of these things were enough to detract from our stay — it was really quite beautiful and peaceful. So glad that you finally got to do this trip together. It sounds pretty near to perfect. What a treasure of memories you are building of your lives together.